Experience a romantic island paradise..
Feel the magnetism of Africa, the yearning to return to its wild places, vast vistas and sunny climate. Select from our choice of a fun island hopping tour from Nosy Be to Nosy Komba and Lokobe Reserve. with activities include snorkeling, scuba-diving, wildlife tours and cruise trips to surrounding islands. Madagascar has 1,800 miles of beautiful beaches, palm-fringed shoreline, numerous offshore islands and coral reefs – Madagascar is an incredible experience. Take advantage of the special offers for Honeymoon at Tsara Komba Lodge Madagascar and add extra nights on your holiday. Honeymoon Dream Experiences package at Tsara Komba Lodge Madagascar offers you a complimentary night (Book 6 Pay 5)| relaxing massage | Lover’s deck privacy on your complimentary waterside dinner | excursions to discover the Island’s beautiful beaches, traditional arts and crafts. Situated in Madagascar on the island of Nosy Komba, also known as “Lemur Island”, the 4-star Tsara Komba Lodge Madagascar is a Luxury Ecolodge hotel excellent for luxury holidays and honeymoons in an outstanding natural environment with no shortage of excitement and exhilaration, where Africa meets the Indian Ocean. Discover Madagascar’s unique wildlife and stunning beaches. Meet the mischievous black lemurs. A fun island hopping tour from Nosy Be to Nosy Komba and Lokobe Reserve. Madagascar is a stunning island 250 miles off the coast of East Africa and the world’s fourth largest. Discover the island’s extraordinary natural history along with its stunning scenery, idyllic beaches and fascinating culture. Madagascar offers a great variety of activities – from exploring the rainforests of Masoala, watching the birds and lemurs in Andasibe National Park, plunging into the lagoons of Mitsio archipelago or watching the whales in Antogil bay or in the warm waters of Sainte-Marie. Combined with luxury resorts and villas Madagascar is an incredible experience. Nosy Komba is an amazing island to explore. It is actually a former volcano which is today covered by a magnificent primal forest home to all kinds of trees, plants and flowers. Here, you can meet the mischievous black lemurs, the slow yet lively chameleons not to mention some extraordinarily beautiful birds and butterflies. The coolest time to travel anywhere in Madagascar is during the dry cool season from May to October. February – Cyclones can occur. April / May / June – heavy downpours with sunny intervals – lemurs and reptiles are active and readily seen. July and August are cool and dry and perfect for a Madagascar Holiday. The whales arrive on Ile Ste Marie in July and remain until the end of August. September, October and November is fine and warm with the jacarandas in flower and many lemurs have their young during this time. December is hot with lemurs and reptiles active and wildlife viewing is good. Air Madagascar operates a daily flight from Antananarivo Airport to Nosy Be Airport and return. On quoting for your holiday we shall advise and assist you in booking these flights based on your dates of travel. Nosy Sakatia (Orchid Island) is a small tropical island situated off the northwest coast of Madagascar, a still unspoilt piece of paradise only 1km west of Nosy Be. Sakatia Lodge is situated on the central part of Nosy Sakatia, with a private beach, restaurant and bar and excellent scuba diving centre. Accommodation consists of eight bungalows, a family bungalow sleeping four, and two villas for larger groups. The bungalows have en-suite bathrooms, fans and private verandas overlooking the ocean. The maximum capacity of the lodge is twenty six guests. There is a lounge / bar area, separate restaurant all overlooking the ocean. 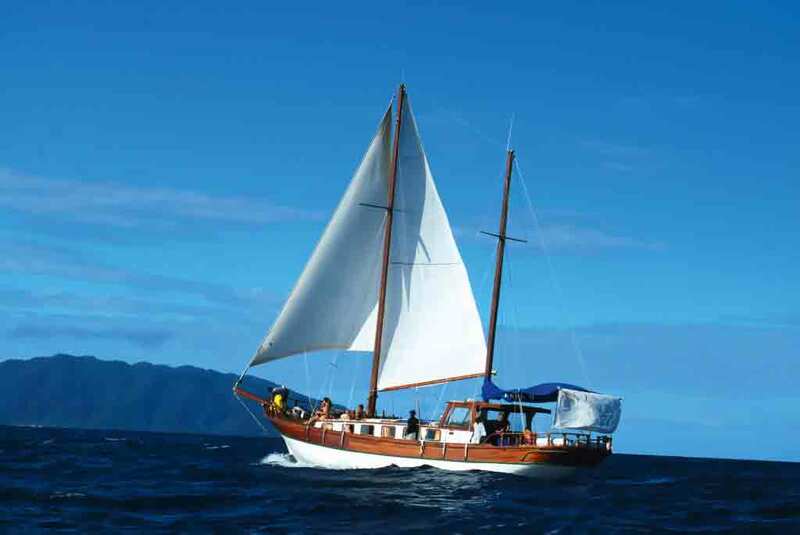 Sakatia Lodge offers a diverse range of activities on and around the islands making use of professionals. During your stay on Sakatia Island, you can enjoy great snorkelling on the reef, pleasant walks and the use of pirogues and sea kayaks. Scuba diving and deep-sea fishing (sailfish) can also be booked from Sakatia Lodge. The Vanila Hotel and Spa is located right on the beachfront in front of Nosy Sakatia on the north-western coast of Nosy Be, Vanila hotel offers 3* upmarket beach hotel comfort with plenty of facilities to enjoy. The Hotel is approximately 30km from the airport and 17km from the capital of Nosy Be. The hotel has 41 comfortable rooms and suites, all equipped with overhead fan, optional air conditioning, TV, telephone, safe, hairdryer, mini bar and each one opens onto a terrace with magnificent views on the sea and a tropical garden. Tsara Komba Lodge Madagascar is a a magical atmosphere of a truly unique location. Located in the heart of a breath-taking tropical garden, the eight lodges with their terraces and sea views back onto a private wild nature reserve, which is home to endemic plants, lemurs, chameleons. In the bay, whales, dolphins and turtles are further examples of the area’s generous biodiversity. On the island of Nosy Komba, journeys are on foot, by pirogue (dugout canoe) or by boat as you appreciate the relaxed pace of life of a bygone age. Accommodation Six Ocean View Lodges nestle in the luxurious tropical garden between the golden beaches and dense forests. Laid out along the hillside overlooking the ocean, these little getaways offer a stylish refuge. Two Ocean View Suites : one at the water’s edge and the other overlooking the beach and the bay. These exquisite, cosy settings are genuine havens of peace, blending in perfectly with the generous natural environment. Nosy Komba is a beautiful and amazing island to explore. Being a former volcano, it is today covered by a magnificent primal forest home to difference species of trees, plants and flowers. You will also meet the mischievous black lemurs, the lively chameleons not to mention some extraordinarily beautiful birds and butterflies. Enjoy exploring the nearby beaches, or a visit to the village of Ampangorina where the women embroider tablecloths and the men produce woodcarvings. Activities include snorkelling, beach volleyball, badminton, pirogue/canoe trips, a spot of bottom fishing, kite flying. All equipment is available free of charge at Tsara Komba Lodge Madagascar or at the beach. On arrival at Nosy Be airport, you will be met and transferred to Chanty Beach from where you will be taken by speedboat to Sakatia Lodge, situated on a small private beach. Spend the next four days soaking up the sun, sand and sea. Activities include : snorkelling, exploring the beach and the stunning tropical garden, walking on the island – Additional activities (with costs) include guided walks, sea-kayaking, hobie cats or pirogue trips, scuba diving and deep sea fishing trips. Go on a guided walk of Sakatia Island on Day 2, and on Day 3 a guided tour of the island’s coastline on a traditional pirogue is included, along with a beach lunch. After 4 nights at Sakatia Lodge, you will transferred on a short hop over the ocean to Nosy Be Island. Transfer to Vanila Hotel or similar. Embark on a day excursion with a boat lunch to Nosy Komba and Nosy Tanikely Marine Reserve – famed for its world class snorkelling and diving. Nosy Komba is the second largest island after Nosy Be, and your trip here includes a visit of the small reserve where you can meet a variety of resident habituated lemurs, happy to jump onto your shoulder. In addition visit the crafts market on Nosy Komba where you can purchase from a selection of lace tablecloths made by the skilled women of Komba Island itself. Extra nights special offer at Tsara Komba Lodge Madagascar: Spend extra nights at this luxury lodge and take advantage of their special offers. Contact us for more information. In the late morning depart for the island of Tanikely – a crystal clear natural aquarium where you may snorkel with the colourful fish, explore the underwater world of anenomes and coral, and hopefully swim with a turtle or two! Take some time to explore the island itself, walk to the lighthouse and see the fruit bats and lemurs amongst the endemic flora. Lunch will be served on-board the boat. Spend the day at leisure, enjoying the swimming pool at the hotel, the beautiful spa and massage centre, or taking part in one of the many optional activities offered by the hotels excursions desk. Options include quad biking, mountain biking, deep-sea fishing, and day trips to near-by islands (Nosy Iranja is recommended) and guided tours of Nosy Be, taking in the local markets and shops. These optional excursions are for your own expense. After breakfast at your hotel, depart for the Lokobe Nature Reserve – the last primary forest of Nosy Be, and rich in many varieties of medicinal plants endemic to Madagascar. Departing from the fishing village of Ambatozavavy (south of the island), you will board a traditional canoe, rowing along the mangroves to the foot of the reserve. Your guide is a specialist in wildlife and local flora and will assist you in discovering the living treasures of this reserve and will explain its secrets and legends. The dense rainforest is a protected site, where you may discover diurnal lemurs (Lepilemur and Macaco), reptiles, chameleons, insects and tropical birds. A picnic lunch is included. After breakfast on this tropical island, you will proceed to the airport where you will fly back to the capital city of Antananarivo, and connect your onward arrangements. It is possible to extend your stay as desired, at any of the above accommodation, or indeed elsewhere on the island. Please contact us for the additional cost.